Skype sessions allow me to help clients when they need it most. Using Skype to do therapy with my clients has been a pleasant surprise. It’s not just that we have more flexibility to schedule sessions. Even better, I’ve found that clients are able to do important work at precisely the time it has the most impact. Indeed, some clients have noted that being at home for sessions makes doing the work easier. Not only can you open up more when you feel safe (as you might do in your own home), neuroscience research also indicates that it’s easier to ‘change the brain’ when you’re in a state of readiness (as one might be when you’re feeling distressed or in crisis). In other words, it turns out that catching you at a time when you’re in a “state” makes it easier for changing the brain. And that often means feeling better faster. 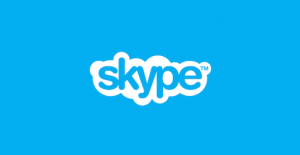 If you travel a lot and always thought therapy would pose too much trouble for scheduling an appointment, you might find Skype sessions a handy solution. And if you live far from a therapist, Skype might provide the convenience you need. Skype sessions are also useful if you can’t get into to see me – especially at a time when you’re needing an appointment and it’s on one of my non-office days. I provide Skype sessions because – as I mentioned – I want to offer my clients accessibility to me when they need it most. Is Skype therapy for you? Skype is not suitable for everyone however. This is why I prefer to meet my clients face-to-face before we consider Skype sessions as an option. Once we schedule a time, you’ll send me an invite using the Skype address I provide. I’ll be waiting for your call at the designated hour. It’s best if you can be in a room where you know you won’t be interrupted. I recommend sitting on something that’s super comfortable with pillows and a comforter nearby. It’s also a good idea to have a glass of water handy. Skype works best when you have good Internet service. That said, it doesn’t mean there won’t be Internet delays or intermittent problems. For this reason, I will extend the time of the session to cover such contingencies. If either of our Internet service is suspended longer than 10 minutes, I generally suggest we re-schedule the appointment. In any case, I’m always within easy reach via phone at 604 789-7227.